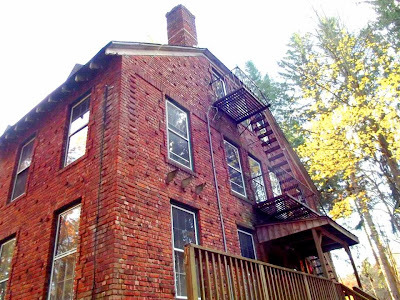 Preserving Nature and Architecture at Camp Midvale / Weis Ecology Center ~ The History Girl! Tucked away in a bucolic corner of Ringwood, New Jersey, in the heart of the Ramapo Mountains, is a relic of an early twentieth century movement of nature lovers and outdoor enthusiasts, who believed that not only the wealthy, but ordinary workers should have an opportunity to get out into the countryside for relaxation, sports, and to appreciate and help preserve nature. However, after surviving for almost a century through several changes of ownership, this unique historic treasure is now in danger of being destroyed. Newly constructed Nature Friends dormitory building at Camp Midvale, Ringwood, NJ. 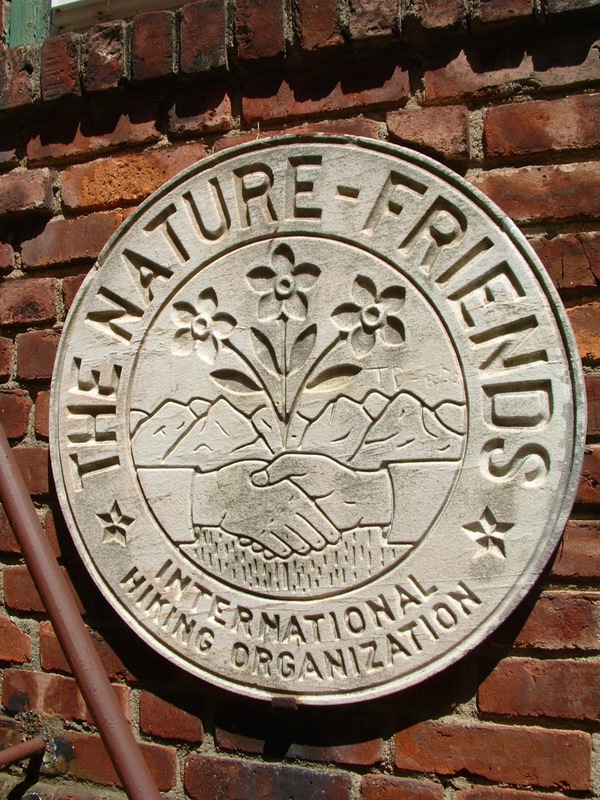 In Vienna, Austria in the late 1800s, a group which was in many ways a forerunner of today’s ecology movement was founded, called the Nature Friends. The Nature Friends grew to be very popular throughout Europe, especially in Germany and Austria. Those two countries, along with Switzerland, have a long tradition of love of the outdoors, and large numbers of people belonged to various hiking and skiing clubs that would build ski lodges, huts, and camps in the mountains for their members to use. When Germans and Austrians immigrated to the United States, they brought their love of the wilderness with them and formed the Nature Friends of America in 1910. In their heyday, there were dozens of Nature Friends clubs all around the United States, from upstate New York to California, including local branches in Paterson and Newark. In 1921, a group of New York Nature Friends bought a large plot of land in Ringwood which they named Camp Midvale. They were looking for a spot where they could spend their leisure time out in the country, that was within easy reach of major cities with large numbers of immigrants, and that would be affordable for people who worked in the blue collar trades or factories. At that time, Ringwood was very rural and the Wanaque Reservoir had not yet been built. 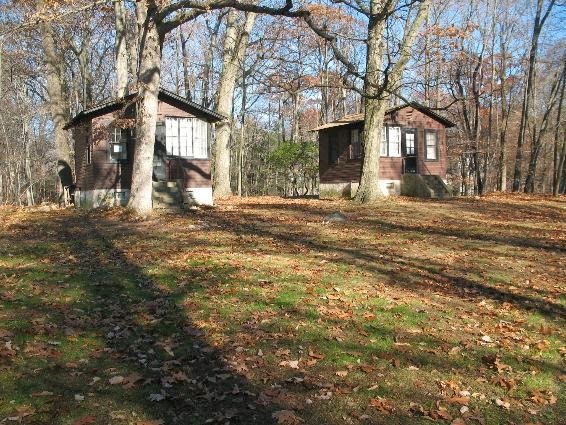 But Camp Midvale was reachable even for city dwellers without cars, because the Pennsylvania Railroad ran all the way to Wanaque, and from there it was a mere 3 ½ mile walk to the Camp on Snake Den Road (an easy stroll to these avid hikers). Part of the property was a farm, and the image below demonstrates its rural characteristics. Camp Midvale, Ringwood, NJ in the 1920s. The Nature Friends were a rugged and industrious bunch, and they did not mind hard work and roughing it in the outdoors. Besides their recreational activities, they spent a lot of time constructing buildings, landscaping the grounds, and blazing hiking trails in the surrounding woods. They built a large social hall and dining room that could accommodate hundreds for meals, various families built dozens of small private cabins scattered around the grounds, and in 1931, they completed a beautiful three story brick building, to be used as a dormitory. The “dorm”, like all the Nature Friends’ construction projects, was built almost entirely by volunteer labor. However, the construction was very sturdy and professional, as many of the Nature Friends members were builders by trade; carpenters, plumbers, cabinet makers, stone masons, and bricklayers, trained in the tradition of European craftsmanship. Comparing the historic photo to a current one, it can be seen that very little about the building has changed, except that it is now picturesquely located in a grove of Norwegian spruce trees. The Nature Friends dormitory building today. Perhaps nostalgic for the evergreen forests of Germany, the Nature Friends planted many fir trees around the grounds, including those lining the long driveway as you enter the grounds, and all along the picnic area, which stretches alongside Blue Mine Brook as it flows through Camp Midvale. This side view shows improvements in the form of storm windows which were added during the Weis Ecology Center era, as well as a good view of some beautiful brickwork. 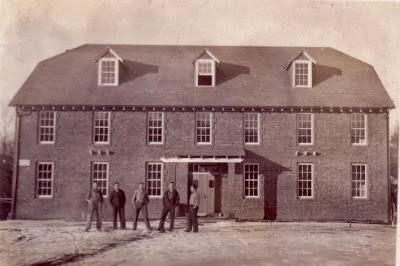 The dormitory was laid out with a kitchen, showers and bathrooms on the basement floor, meeting rooms, offices and a library on the main floor, and nine small rooms on the second floor, and barracks style accommodations on the top floor, for a total sleeping space for up to 250 people. Today, much of the building retains original features such as wainscoting and wood trim. The rise of Hitler in the 1930s directly affected the German Nature Friends, who were persecuted due to their promotion of workers’ rights, and it also brought a new wave of German and Austrian immigrants to the New York area, many of whom were Jewish or who had to flee Europe because of their anti-Nazi political views. Many joined the Nature Friends of America. 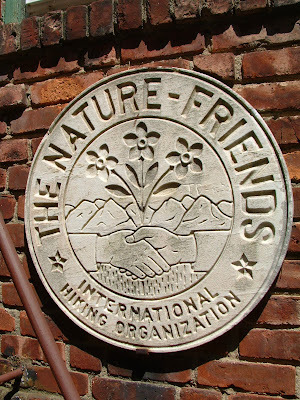 From the beginning, the Nature Friends was an egalitarian organization, and welcomed members of every race and religion. In fact, Camp Midvale was the first – and for a long time the only - interracial camp in the region. In 1935, they completed the construction of an immense swimming pool (200 x 100 feet), built specifically because the nearby farm pond where members used to go to swim did not allow non-whites. The members were also strongly supportive of labor unions and the civil rights movement. 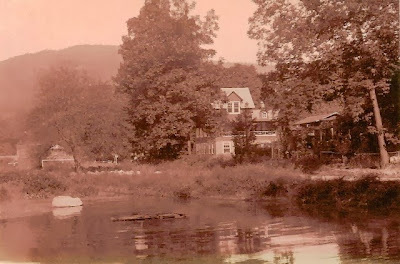 Because of the leftist political leanings of many of the newer members, along with the fact that they were foreign born, and its welcoming of non-white members and guests (which was virtually unheard of during that era), Camp Midvale was often regarded with suspicion and hostility by locals in the surrounding towns. Unknown individuals snuck in and burned a cross on Camp Midvale property, in an attempt to frighten the members. During the 1950s, during the McCarthy era witch hunts, the Nature Friends organization became a target of the FBI, and was labeled as a “subversive” organization. This pressure forced Camp Midvale to leave the Nature Friends and reorganize as the Metropolitan Recreation Association. 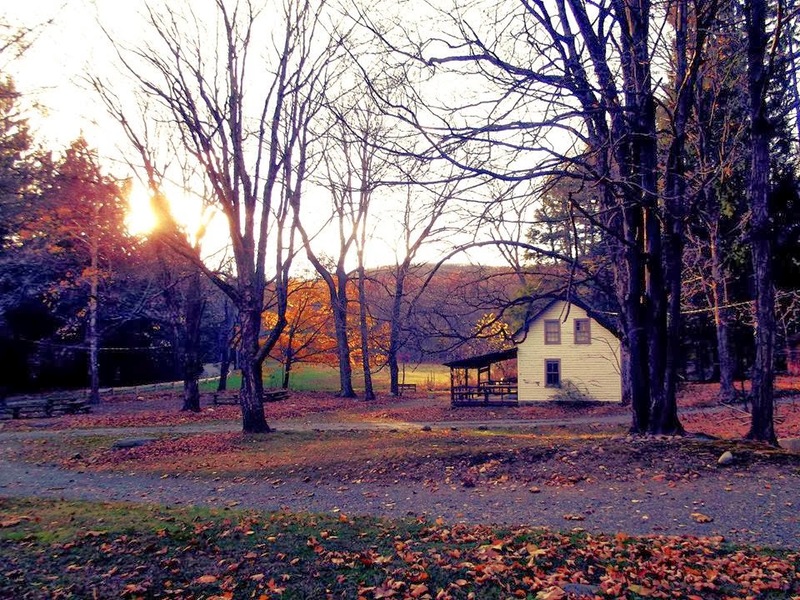 The Camp persevered until a suspicious late night fire burned down the large wooden social hall and clubhouse in 1966, which dealt the MRA a severe financial blow. Eventually, the dwindling membership was unable to maintain such a large facility, but they were united in their desire to have the land and buildings preserved as a retreat for nature appreciation and recreation, and for the surrounding woods to remain free from development. So rather than divide it up and sell it, they gave the entire 160 acre property (symbolically, for $1.00) to the Society for Ethical Culture. In 1974 Walter and May Weis, who were members of the Society, provided an endowment to preserve the property for the purpose of environmental education, and it was renamed the Weis Ecology Center. In the mid-1990s, the New Jersey Audubon Society sought to establish a center in the New Jersey Highlands region and assumed ownership of the Weis Ecology Center. edelweiss flowers with a pair of clasped hands. Last year, the New Jersey Audubon Society decided to cut back on its nature centers and at the end of 2012, they closed three of them, including the Weis Ecology Center, and laid off the staff. This was an unfortunate and shortsighted decision, because the many programs that operated at Weis were extremely popular. There was a summer camp for kids aged pre-K through 3rd grade, which enrolled a record number of children during its last year of operation. Summer camp activities included hiking, crafts, identification of plants and wildlife, outdoor games, learning about recycling, and nature appreciation. There were also year-round family activities such as Easter egg dying using natural dyes, an Easter egg hunt, an annual Christmas tree sale and holiday fair, and family classes on topics like fossil identification, building bird feeders, and learning to cook over an open fire. Sadly, the Audubon Society, rather than making the extra effort to raise funds to keep Weis open, or passing it on to a like-minded non-profit organization that could make use of it, has made a decision to transfer ownership to the New Jersey Department of Environmental Protection (DEP). The DEP has no interest in maintaining buildings or running environmental programs, and their goal is for all of the infrastructure, including the septic systems and artesian wells, to be destroyed if they accept ownership of the property. The DEP and New Jersey Audubon Society claim that none the buildings are worth saving, despite the fact that Audubon was making use of a number of them up until the end of 2012. The dormitory building housed their visitor center and gift shop, and was used occasionally during the Weis years to house overnight groups participating in programs. Other buildings were used for housing staff and for the summer camp programs. In fact, the last cabin tenant was evicted just within the past several months. Besides the dormitory, Weis Ecology Center contains a number of the original Nature Friends cabins, some of which are still in very good condition. These two are near the front entrance for example, while others are nestled in the woods. Nature Friends cabins at Camp Midvale, Ringwood, NJ. In addition, there is a small greenhouse, a ballfield, a volleyball court, and a saltbox style farmhouse building which predates the Nature Friends’ purchase of the property. Fortunately, a small piece of property that includes the swimming pool was subdivided from the Weis Ecology Center about fifteen years ago, and it is independently owned and operated by a local community non-profit called The Highlands Natural Pool (www.highlandsnaturalpool.org). The pool remains open to members and guests during the swimming season, from May to September and visitors are always welcome. The value of the Weis Ecology Center lies not only its fascinating past, but its potential use as a place to teach people to understand and appreciate the natural world, as its founders and builders intended. It could easily be reopened as an environmental education center, a summer camp, a recreation facility, a hostel for hikers, a conference center, a retreat for writers or artists, a satellite campus for a school, or a combination of uses. It’s ironic that any organization that espouses ideas about conservation, preservation, and recycling, would choose to destroy a valuable community resource, rather than allow it to be saved for future generations. Old farmhouse on the Weis Ecology Center property. Karin is a lifelong Jersey girl who currently lives in Monmouth County. She graduated from Rutgers University and is a former IT professional, who currently works as a paralegal. She grew up in Ringwood, just next door to what is now the Weis Ecology Center, in the German-American neighborhood that once flourished there. Karin says, “My lifelong interest and love of nature as well as my passion for social justice, comes from my parents, who were former Nature Friends.” She enjoys exploring every hidden corner of the Garden State, but still thinks Ringwood is the most beautiful spot. 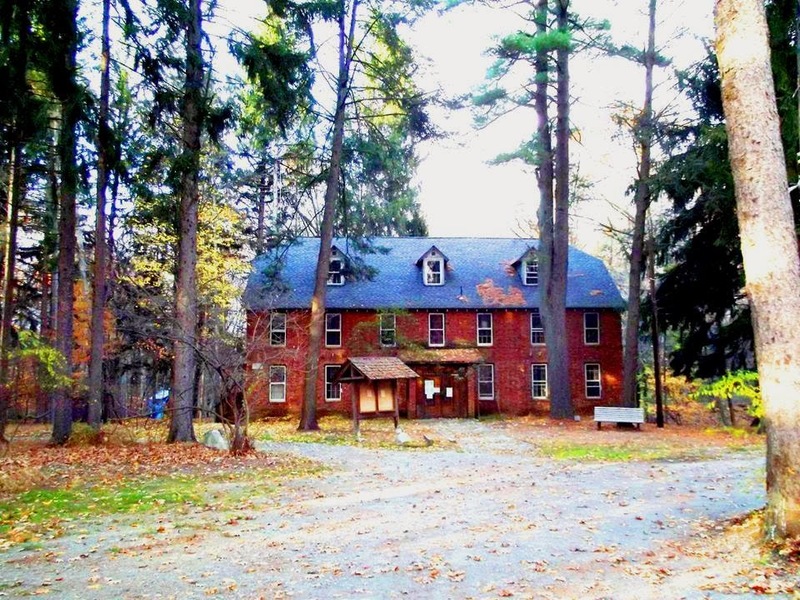 If you are interested in helping to preserve the Weis Ecology Center, you can contact her at karinannah@gmail.com. Great Article Karin! Would be so wonderful to have it be resurrected as an educational, recreational place to learn and reconnect with our natural environment. Since this article was written, we have formed a group, Nature Friends for Preserving Weis. Check out our FB page for updates and join us!.